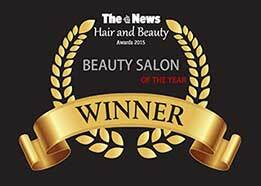 Now one of the top Salons in the local area. 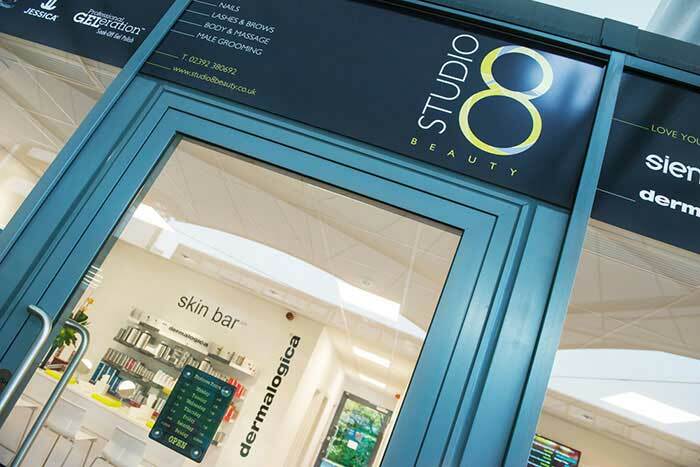 Studio 8 is a very spacious, clean and modern beauty salon in Portsmouth. Set in a unique location on the prestigious 1000 Lakeside, North Harbour Business Park. The salon is fully air conditioned offering an exquisite ambiance and Spa experience. 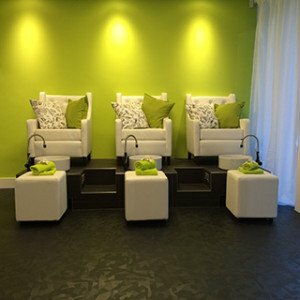 Our reputation as one of the best Beauty Salons offering Spa quality services and treatments in the Portsmouth area is constantly growing. Our clients are always recommending us to friends and families and in turn the area and number of customers that we serve is consistently growing. Many of our regular clients are now a mixture of people very local to us along with others that travel up to 50 miles for their pampering and treatments. With this stamp of approval, we’re pleased to see our customer service philosophy is working well. So if you are considering changing your Beauty Salon or booking treatments regularly or as a one off for the first time, think of Studio 8 Beauty. We are easy to reach being just off the M27 and within easy reach of the local surrounding areas in Hampshire including Fareham, Cosham, Gosport, Waterlooville, Portchester, Clanfield, Petersfield and Chichester. One of our most regular customers even comes in from Basingstoke every week for her favourite CACI treatments! When planning a visit to the Salon, we’ve made life very easy for you with plenty of free parking. These are dedicated spaces immediately outside the salon and is available to both on and off-site clients. Studio 8 Beauty Salon Pedi Spa area. The Salon has 4 private treatment rooms. We are extremely proud of our bespoke Luxury Pedi Spa area is available where you can indulge with a Zen Spa Pedicure or as well as a luxury OPI Pro Spa treatments. 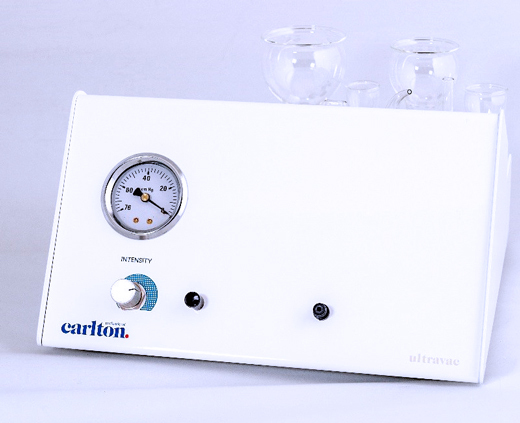 Perfect for relaxing with friends and partners. Our dedicated spray tanning room, range of Sienna X express tanning products and an advanced extraction system is perfect for tanning for holidays and last minute invites. Our Team are all Dermalogica Skincare Experts and we offer a full range of Dermalogica Proskin 30 and Proskin 60 bespoke facials as well as advanced aesthetic treatments such mesotherapy, skin needling, Dermafix Pen & glycolic peels. 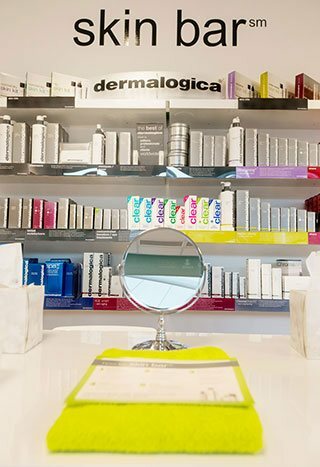 As a Dermalogica Skincare Centre we carry a range of professional products that are available to buy from our retail area. We offer a fabulous range of beauty treatments, holistic treatments, and exclusive spa treatments within the Salon. We welcome and cater for both female and male clients and even have a bespoke male grooming menu for our male clients, which includes body massage and treatments for men, waxing treatments for men, skin and hand care for men as well as a wide range of other male treatments. Dermalogica – the number 1 skincare choice of skincare professionals. Jessica GELeratioN & OPI PROSPA nail polish manicures and pedicures. Lycon Precision waxing for the best waxing treatments. If you’re looking to try something different, then why not book one of our sheer bliss Hot Stone Massages or even a Lava Shells Massage that’s all the rage with celebrities. As well as our CACI non-surgical facelift treatment we offer a wide range of other Facial Electrical Treatments to help with toning and skin care, As well as advanced aesthetic treatents such as skin needling, mesotherapy and glycolic peels. Looking to treat someone or would like someone to treat you? Then our range of Salon Gift Vouchers is just the thing for that Special Occasion or gift. You can choose one of our Salon Gift Cards for a bespoke treatment or range of monetary values. You can even call us if you’d like ideas on something a bit different. While you are having a look around the Studio 8 Beauty website, don’t forget to take a look at our Seasonal promotions and subscribe to our mailing list for our Salon News and Tips. We’d also love you to come and join us on Facebook, Twitter and Google and become part of our growing social circles. Regardless of whether you wish to submerge yourself in a calm pampering treatment or the glamour and glitz of fashionable treatments whilst enjoying time with friends, Studio 8 offers a feast of treatments and packages to suit all, whether female, male, couples and groups. So save time, beat the city traffic, come and relax and enjoy yourself at Studio 8. With ample free parking, complimentary tea and coffee while you relax with the very best of salon treatments on offer, our highly qualified and experienced salon team look forward to giving you with a warm friendly welcome and then providing you with the professional service you deserve.